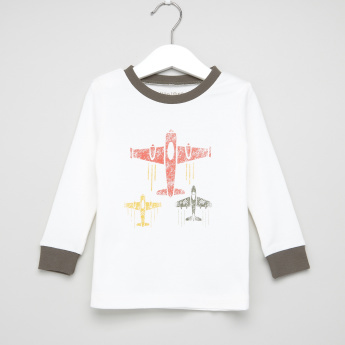 Keep your little boy at ease by dressing him in this long sleeves t-shirt and pyjama set. 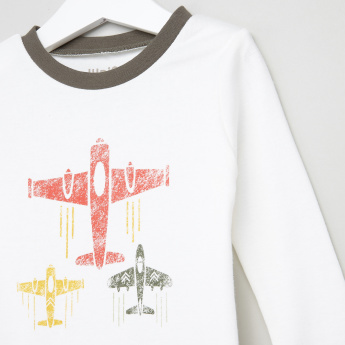 Showcasing colourful airplane prints, this set is made of good quality fabric. 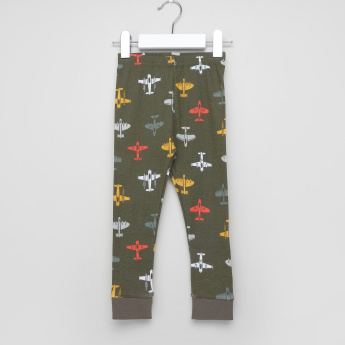 Soft against the skin, the pyjamas have a drawstring around the waist that offers a perfect fit.